FAO implements the Global Forest Resources Assessment (FRA) on request of its member countries. To implement this mandate, FAO regularly seeks broad guidance from a large number of national and international experts and agencies. The FRA Advisory Group was established in 2002 on the basis of a recommendation from an Expert Consultation held in Kotka, Finland. It is informal in nature, but it is acknowledged and endorsed by the statutory bodies of FAO such as the Committee on Forestry (COFO). 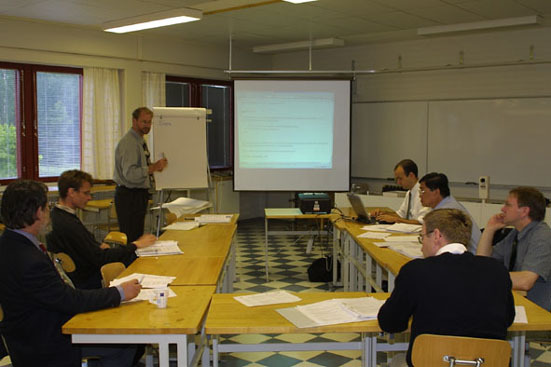 It is a long-term arrangement with meetings anticipated to take place annually. Specifically, the Advisory Group is tasked to review activities and outputs and make recommendations in order to strengthen existing institutional networks, to make future forest resources assessments increasingly user-oriented and demand-driven, and more closely linked with other international processes.